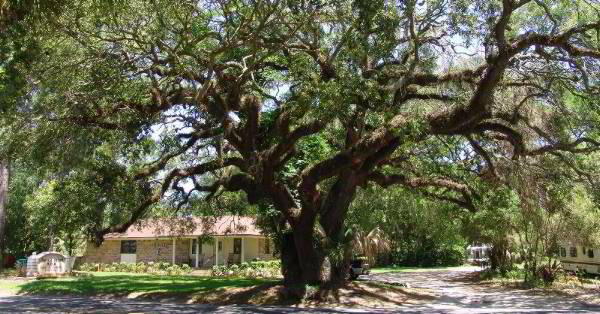 When Steve and I moved from South Florida to north of Tampa, we were delighted to see the abundance of live oak trees. Each one reaches wide with graceful, curving branches that outline intriguing free-form shapes. Live oaks can grow to be eighty feet tall and just as broad over a life-span of hundreds of years. The key to their longevity is their root system, which reaches down into the soil about four feet, and extends laterally to ninety feet. Such depth and width offers strong support for the tree. Of course, roots also provide water and nutrients. A mature oak can take in more than fifty gallons of water per day, much of which evaporates and keeps the tree cool. Such facts give me greater understanding and appreciation for Jeremiah 17:7-8. Doesn’t that sound satisfying and peaceful? 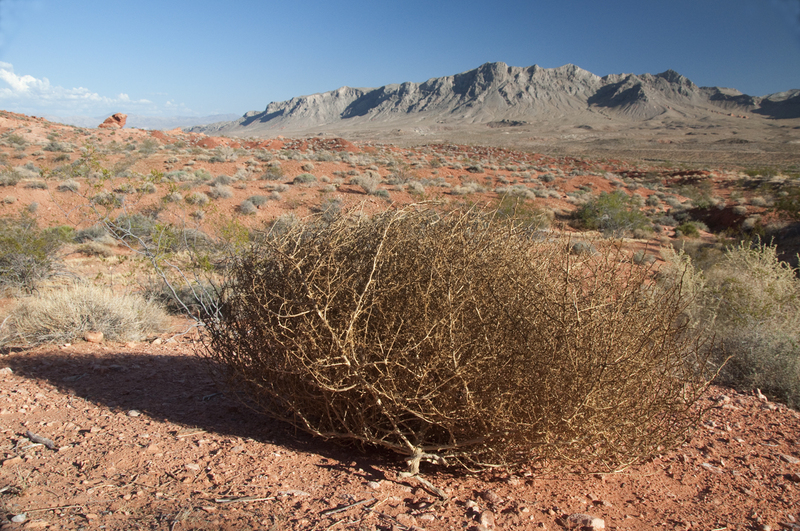 Yet too often I’ve been more like a tumbleweed in the desert—dry, flitting here and there, and anything but peaceful. How do I turn my tumbleweed self into a mature, flourishing tree? The secret is in the roots. Oak tree roots grow wide and deep; tumbleweeds have none. I have to send out my roots into the soil of God’s Word. That’s where the nutrients of strength, wisdom, and encouragement will come from. The deeper and wider my knowledge, the more empowered I’ll be to withstand the buffeting challenges of life. The soil also represents God’s love (Ephesians 3:17-18). I must learn about my loving Heavenly Father and spend time with him in order to know him. As intimacy develops, trust grows. We express our trust by affirming what we know about God. And we affirm our confidence in him by reviewing his promises–not once a day in a quick morning prayer, but moment by moment. As our roots grow deep, our spirits can reach high and strong like live oak branches — in adoration and praise for our trustworthy God. I am DONE with tumbleweed living! How about you? Thank you Nancy! I appreciate your insight and passion for our Lord. May our Lord bless you beyond measure! Oh, he does! He does! Friends like you and Lisa are part of his blessing beyond measure. Thank you for stopping by, Michael, and taking time to comment! The timing on this was perfect! I find it is so difficult to hand children over to God’s care. Yet He is the source of all blessings. What a joy when a post ministers to someone at just the right moment. Praise God! Thank you for sharing, Anna. That is really good, Nancy. We planted several live oaks about twelve years ago. They were only about 7 feet tall back then, but, with twelve years of good watering… they tower over our home. We had a large group of friends over Saturday and we moved all the patio furniture under the tree so we could take advantage of it’s shade. We should all be as strong as this oak. Right on, Bill. I have to remember: oak trees don’t grow overnight. Patience and perseverance are necessary to achieve the strength of a mighty oak. Another worthy thought: I don’t have to wait until I’m full grown in spirit to feel satisfied. I can take pleasure in the growing! Thank you, Jean. Watered by the Spirit is another beautiful image of refreshment and replenishment! Nancy, thanks for the truths here–the prayer model was a blessing. No more tumbleweed living….that’s a helpful picture. Jesus, give me grace to make my roots deep instead of wide. Thank you, Jody. I’m delighted that the prayer model was a blessing to you. And oh, yes. Grace to grow deep. That’s another prayer to use as a model! Thank you for being such a loyal follower and taking the time to comment. A couple of weeks ago my eldest nephew was in a horrendous accident with a semi (not my nephew’s fault). The top of the car came off in the crash; the windshield pierced the top of his head, ultimately requiring 17 stitches. A passerby stopped and kept him awake and applied pressure to his wound so that he wouldn’t bleed out. Had his car slid under the semi he would have been decapitated. As it was, he had to be cut out of the car. By the Grace of God he didn’t require a blood transfusion and was released the next day from the hospital. I spoke with him that evening and he sounded wonderful. The bones in one of his ankles is crushed and may require surgery; he is wearing one of those boot things. When this happened…the way I prayed was so similar to your prayer above! I really did feel that the Holy Spirit was interceding as I prayed that the Lord would guide him to make the right decisions regarding any medical treatment, litigation, etc. In a way, this event…tied to your blog…validates that even though I have my ‘Tumbleweed’ days…this time the roots of faith took hold…as the Holy Spirit guided my prayers. I love the title of this blog, the message, and its application to Jeremiah 17:7-8. Praise God your nephew survived such a horrendous accident with so few injuries. I’m nodding my head in agreement with you: may our tumbleweed days give way more and more often to times when roots of faith take firm hold! Thank you, Cheri, for sharing your nephew’s story.